Most Snake River sockeye salmon were dead before biologists and river managers could take actions to rescue the endangered fish this summer. Warm water and low flows throughout the Columbia River basin in June and July decimated the run of sockeye, listed as endangered under the federal Endangered Species Act. They were heading to lakes in the Sawtooth Basin of Idaho. That run was thought to be as many as 4,000 fish when they passed Bonneville Dam, according to a year-end-review by the interagency Technical Management Team this week, which took a look back at actions taken this summer to save the 2015 sockeye run. Some 510,706 sockeye salmon destined for either the upper Columbia River or the Sawtooth Basin passed Bonneville Dam, according to the Fish Passage Center, with the run peaking about June 26. 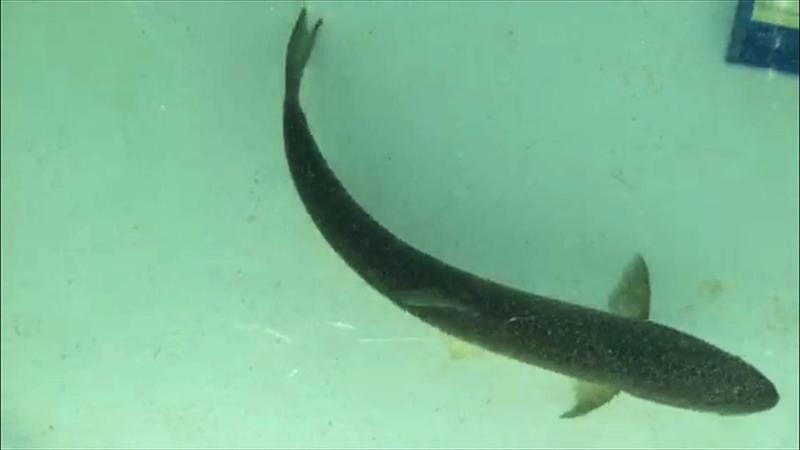 However, as Columbia River temperatures rose to 18 and then to 20 degrees C (64.4 to 68 degrees F) in June, the fish began to die and most had died by the time they entered the Snake River. No fish that passed Bonneville after July 3 made it to the basin on its own, according to Russ Keifer of Idaho Fish and Game. "We lost 90 percent of the fish before they got to Ice Harbor Dam," Keifer said. "Most of that mortality occurred in the lower Columbia River." He added that the average survival of adult Snake River sockeye up into Idaho is 44 percent: this year survival was just 1 percent. "If we would have had a 44 percent survival rate this year, 1,760 fish would have made it back, a record," Keifer said. Still, 494 sockeye salmon were released into Redfish Lake and 98 into Pettit Lake this year, thanks to a combination of the naturally spawning fish that did make it and the captive broodstock program begun in the late 1990s. In addition, broodstock that were spawned produced another 750,000 eggs that will be reared at Eagle Hatchery and released in 2017. Typically each year TMT adjusts flows from Dworshak Dam on the North Fork of the Clearwater River in order to cool water at Lower Granite Dam, the uppermost of the four lower Snake River dams. After releasing water from Dworshak, it takes up to three days to make its way to Lower Granite to cool the dam's tailwater and fish ladders, an aid to fish passage at the dam. However, 2015 was a year of extremes. There was little precipitation during the snow-accumulating season and higher than normal air temperatures that resulted in little snow and warm water throughout the basin, according to Paul Wagner of NOAA Fisheries. With spring, Snake River basin precipitation was less than 50 percent of normal in April, spiking to over 130 percent in May, but dropping again to less than 50 percent in June, while air temperatures in the basin were hot: 1 to 3 degrees C (1.8 to 5.4 degrees F) above normal in April and May, and rising to 6 degrees C (10.8 degrees F) above normal in June. By July, it was clear that few sockeye could make it as far as Lower Granite and even fewer would attempt to enter the fishway to pass the dam. As far as using Dworshak water, this year was no exception. However, the weather situation in the Snake River basin and, for the most part, the lower Columbia River, was exceptional and by July biologists and river managers were initiating a trap and haul operation at Lower Granite Dam to rescue salmon and an experimental spill operation at Little Goose Dam they hoped would cool the river between the two dams. The upper Columbia River and its tributaries also warmed far above normal, Wagner said, with the Okanagan River in Washington hitting 8 degrees C (14.4 degrees F) warmer June 15, 2015 than the temperature in the river last year on June 15. River temperatures June 15, 2015 in the Salmon River of Idaho were 5 degrees C (9 degrees F) warmer than on the same day last year. The water temperature at Bonneville Dam hit 20 degrees C by mid-June, which is up to 4 degrees C (7.2 degrees F) higher than the 10-year average, and as the temperature rose, so too did sockeye mortalities as they attempted to swim upstream from Bonneville Dam to McNary Dam. It seems that 18 to 20 degrees C is when the fish begin to die, Wagner said. Adult salmon that stayed in-river during their migration as smolts did significantly better this year as they returned than smolts that had been transported. Just 4.8 percent of adults that had been transported as smolts survived the warm water from Bonneville to McNary, while 23.8 percent of the adults that migrated in-river as smolts survived the trip. For upriver sockeye salmon, survival between the dams was 58.9 percent (all migrated in-river as smolts). Survival of the total run of the 4,000 Snake River sockeye from Bonneville Dam at upriver Columbia and Snake river dams was 62.2 percent at The Dalles Dam, 14.4 percent at McNary, 8.7 percent at Ice Harbor, 7.4 percent at Lower Monumental, 4.7 percent at Little Goose and just 1 percent at Lower Granite. Or, all of the above." Certainly, one issue was keeping the water cool at the fish ladder at Lower Granite. TMT adjusted water output at Dworshak nearly weekly trying to maintain cooler water at the dam. However, they lost control of the temperature in late June and early July when the temperature rose higher than the 68 degrees F limit for about a week. "In critical times," he said, "we may want to consider more of a buffer." Fisheries biologists and river managers tried two ways to move the fish upstream. At Lower Granite Dam, Idaho Fish and Game set up a trap and haul operation beginning July 13 and lasting through the end of July, trapping what adults did arrive at the dam and hauling them to Eagle Hatchery, Keifer said. Fish were trapped four hours a day, Monday through Friday, 7 am to 11 am (sometimes to noon). All the fish (51 in all) initially were taken to Eagle Hatchery every day, but later they were held at Lower Granite overnight. Some 16 of the fish collected were identified as Wenatchee and Okanagan river stocks. These were not transferred to the hatchery. About 300 sockeye were "lost between Goose and Granite," said Steve Haeseker of U.S. Fish and Wildlife. That could have been due to a tailrace eddy or hydraulic conditions, the fish ladder temperature, or the tailrace temperature, he said. The U.S. Army Corps of Engineers tested an experimental spill at Little Goose to see if it could lower temperatures by eliminating spill for 16 hours at the dam from 4 am to 8 pm and running a single generating unit with spill for 8 hours from 8 pm to 4 am. The experiment was from July 21 to July 31 with a total four days of the experiment and a total of seven days of normal operations used as control days. As it turned out, the experiment actually warmed the water in the tailrace by 0.39 degrees C and downstream temperatures did not decline, but sockeye passage rates were similar between the control and experimental days and ladder temperatures were similar. The year wasn't a total loss for the endangered sockeye, however. Idaho Fish and Game said it recently completed spawning sockeye salmon and expects that will produce a record number of sockeye smolts, despite the smallest adult return since 2007. "We took more eggs than we ever have for the program," Eagle Hatchery Manager Dan Baker said. With spawning of wild fish and "captive broodstock" complete, Fish and Game and NOAA fisheries crews processed and fertilized more than a million eggs, which should produce about 750,000 young fish that will be released in May of 2017. "About half the anadromous fish we had in the spawning program this year we trapped and hauled from the Snake River," Baker said. Adding to the trapped fish and natural returners were 800 fish, including 390 females, raised entirely in captivity to ensure eggs are available to produce the next generation of Idaho sockeye. In the future, enough eggs will be taken from captive broodstock each year to meet broodstock and production goals, so IDFG should be able to meet targets with captive brood fish only, Haeseker said.